AirDropsDAC’s tokens was stolen by the unknown hacker(s) on Nov-12th 2018, some of the Tokens were sold on Newdex and the profit of 2514 EOS were transferred into several accounts, one of OneChain’s testing accounts (account gizdkmjvhege) got involved in this incident. 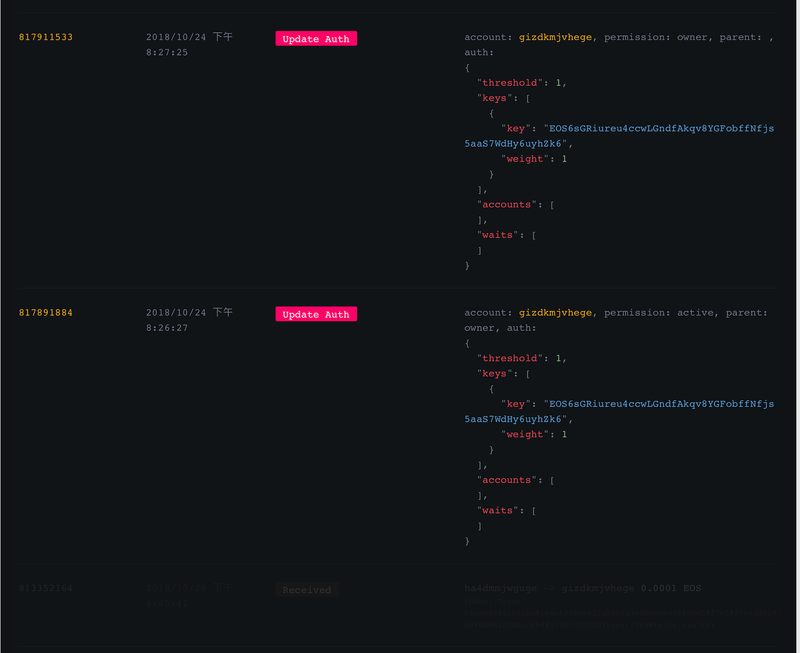 This account is one of OneChain’s testing accounts (account: gizdkmjvhege),which is a EOS creation account, original public key is : EOS7BqvZ2JScja9dsX9z81QoAehHX5Zixf66uzYqZqdnFkRhHB1Ns. It was hacked by an unknown person or persons On Oct-24–2018, and after that this account was not controlled by OneChain. The public key of OneChain’s testing account was changed by an unknown person.Oct-24–2018. In order to give assistance to AirDropsDAC and other involved project conduct investigation on the hack, OneChain provide the following information about the account’s activities on blockchain. 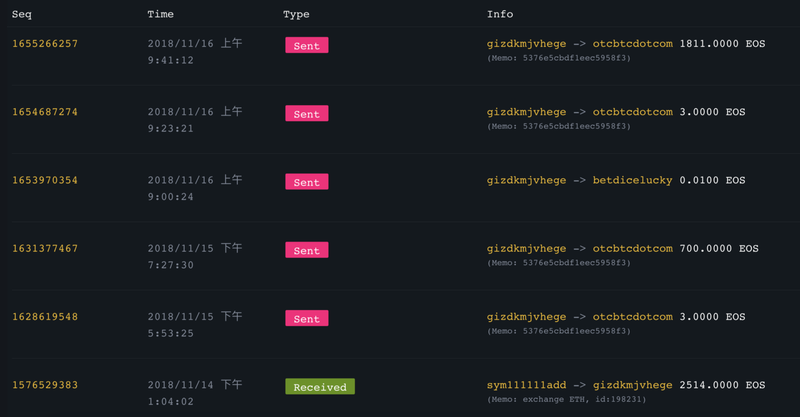 It shows that the tokens were transferred to another account ( otcbtcdotcom). We also would like to provide further more assistance in helping to investigate in this case. The core team behind OneChain includes cryptography engineers, experienced EOS-based applications developers and veteran entrepreneur. We all share on top of our passion for blockchain and decentralization a deep conviction that developing pragmatic EOS-based exchange as any other, focused on releasing and iterating on products, will help the ecosystem in a synergetic way with theoretically brilliant white papers. Please feel free to reach us for any inquiries.